WiseHealth, Inc., a company founded by concerned parents, introduces Wisenhimer.com, an online playground for children ages 5-12 that teaches them to Eat, Play, and Live - Wisely. 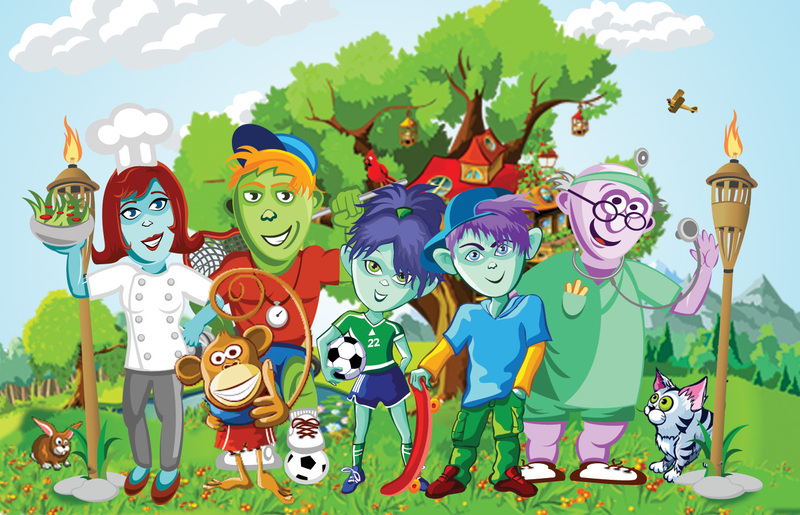 Building upon the success of gaming and virtual worlds websites, Wisenhimer teaches kids to make healthy choices about eating well, staying active, and building life skills such as integrity, generosity, and manners. Wisenhimer blends the fun of interactive games - online and at home - with the vital information they need to combat childhood obesity and Type II diabetes. WiseHealth, Inc. introduces Wisenhimer.com, an online playground for children ages 5-12 that teaches them to Eat, Play, and Live - Wisely. Wisenhimer.com blends the fun of interactive games -- online and at home -- with the vital information they need to combat childhood obesity and Type II diabetes. Linda Kreter, President and CEO of WiseHealth, says, "Like it or not, our children are in a full-scale battle where their health and their lives are at stake. As parents, we need to actively arm our children with valuable life lessons so they can flourish as adults. That's why we created Wisenhimer." Building upon the success of gaming and virtual worlds websites, Wisenhimer teaches kids to make healthy choices about eating well, staying active, and building life skills such as integrity, generosity, and manners. Wisenhimer's Eat, Play, and Live curriculum is customized for each user and wrapped in entertainment: world-class graphics, unique games, original music, and playful interactions that get children up and moving. "Wisenhimer takes children's natural love of learning through creativity and discovery into the 21st century. The most exciting feature of Wisenhimer is that it teaches the user as they play. Children earn points and advance by learning about healthy living and practicing healthy habits in the real world," explains Kreter. Wisenhimer was created by a group of concerned parents and kids. The Wisenhimer team includes registered dietitians, medical doctors, pharmacists, exercise physiologists, educators and other health professionals with expertise and training in the content areas featured on the website. "Our team created the concept of the site, but it was our children, and their friends, who actually refined the site to what it is today," according to Tom McCollum, senior vice president of WiseHealth. "They pushed us and the site is better for their efforts. My nine year old son Sam is one of the members of our Children's Advisory Team (CAT) and my seven year old daughter Sallie both gave us great insight into what was fun, interesting, and attractive for kids." WiseHealth provides timely and efficient solutions to healthcare, pharmaceutical, disease management, and preventative health initiatives. Their corporate mission is to help families and children to take responsibility for their active management of personal health. WiseHealth is a privately-held company located in the Baltimore-Washington DC corridor. The company employees draw on rich backgrounds of expertise within the industries of healthcare, technology, entertainment, and defense.